Still growing! 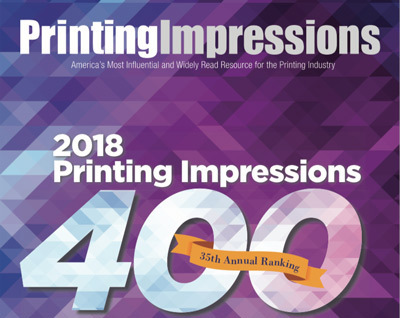 Holland Litho is pleased to have risen from 313 to 302 in Printing Impression's annual ranking of the nation's top 400 printing firms. We'd like to thank you for making this possible. For 35 years, Printing Impressions has been compiling this list of who's who in American printing companies. And for the fifth straight year, Holland Litho has made this list. Our goal is to break 250 within five years. To do so, we'll need to boost our sales by 30%. We believe that with great customers like you, this is ambitious and achievable. Everyone here at Holland Litho would like to voice our appreciation for our customers/partners. Thanks for believing in us year after year and making it all possible. It's been called the best in the printing industry, and we never share our list. © 2018 Holland Litho Printing Service. All Rights Reserved.